Obviously, being an author of Children’s Books, I am fond of books and the places you can go and what you can learn by reading books. At Ryley’s baby shower, instead of asking for registered gifts, we asked guests to bring their favorite children’s book and sign it, so, we could have a library of books for Ryley to tell her every time we read a book who loved her so much they gave her the gift of reading. As someone who delights in the sight, smell, and touch of books and the sounds of words, of course, there is a fire in me to end the plight of illiteracy around the world. In the US alone, 32 million adults are considered illiterate, 2/3 of students who cannot read by the end of fourth grade end up in jail, literacy costs $73 million per year in terms of direct health care costs, and as of 2011, America was the only free-market country where the current generation was less educated than the previous one. Amazing, don’t you think? In this great land of technology and wealth, not every child, even today, has access to owning their own book. One in four children is predicted to not be able to read prior to being an adult, which may not seem like an alarming statistic to you, but what do you think this statistic means in regards to poverty, homelessness, suicide, abuse, and other epidemics? Where does the epidemic of illiteracy start? In my opinion,iIlliteracy starts at home and in our schools, which made this “give back” task even grander, when we received a flier in the mail from Ryley’s school and Scholastic books asking us to participate. Scholastic, an amazing publishing, media, and education company, who has been delivering literacy resources for kids, schools, teachers, and families for more than 90 years had a great idea of partnering with schools to end illiteracy. Through the flier, the Barnett family and other families at Ryley’s school had the opportunity to give children in impoverished schools the chance to own their own books. 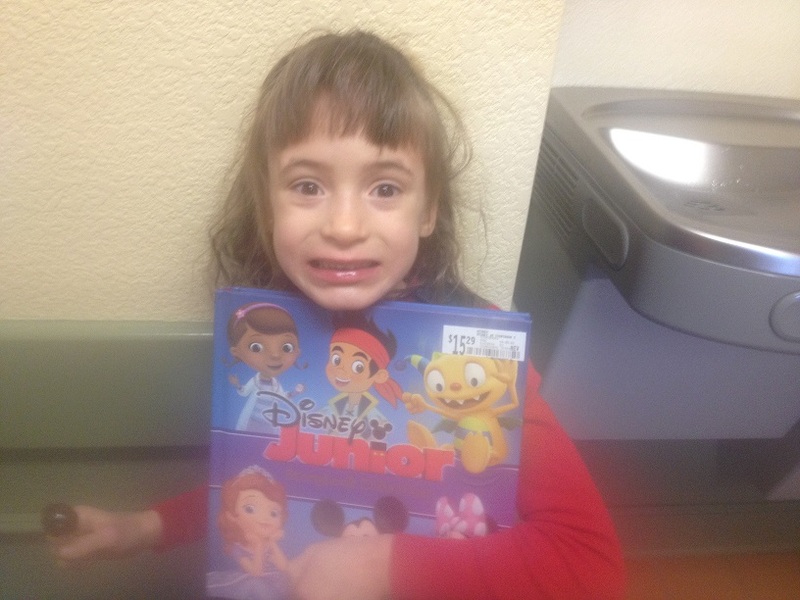 We had the chance to give other children books…yahoo! Of course, we jumped up for joy thinking of how the children would react when they received their beloved books. Would they laugh, jump, and smile like us? We hoped so! Although, instead of making this volunteer project my mission, it was beautiful to pass down the torch and allow my child to be passionate about the plight of illiteracy and how she could make a difference. She even said to me, “Mom, I love it when you read books to me at night and I’m excited some other kid will have a book read to them.” She also, said – “Mom, my favorite book is “Are You My Mother?” by Dr. Seuss. Hopefully, the books we purchase and donate will also become some child’s favorite book. Just thinking this thought makes me feel fuzzy inside like hot chocolate and apple pie. So off we went on our book donation adventure. The first stop was the book store. The next stop was allowing Ryley to pick out several books on her own. With pure enthusiasm, Ryley ran through the aisles picking up book after book which grabbed her attention. Step three was to pay and go donate the books, but what was already a day of feeling good and making a difference became even better when Ryley read one of the books to me in the car. Again, it reminded me of where illiteracy starts and how every day I was helping end illiteracy right at home.